From drilling permit application to well completion, we provide the data to keep your business competitive. Every week. Since 1933. Michigan's oil and gas industry drives Michigan's economy. The Economic Contribution Study conducted by Public Sector Consultants illustrates that fact with abundant clarity. The Michigan Natural Resources Trust Fund (MNRTF) is one of the most important ways the Michigan oil and gas industry helps improve and protect Michigan’s natural resources. MNRTF has contributed immeasurably to protecting our state’s natural beauty and helped paved the way for wise and prudent development of our state’s abundant energy resources. Since the creation of the MNRTF in 1976, the oil and gas industry has contributed over $1 billion to Michigan’s state & local parks, waterways, trails and nature preserves throughout all 83 counties. Mackinac Straits Corridor Authority’s first Meeting was held on Wednesday Dec. 19 in St. Ignace. The Little Bear Arena in St. Ignace was packed to the brim on Wednesday, as the first meeting of the MSCA drew a crowd of over 200 people. The Michigan Oil and Gas Association was well represented, with just shy of a dozen members in attendance. the agreement and pipeline were: Cliff Roberts, Thad Shumway, Ken Prior, Erin McDonough, Mike Cornelius, Luke Miller, and Michael Kler, Tim Rudolph, Bob Parsons, and James Burmeister. Just before the conclusion of the meeting, the MSCA Board approved the tunnel agreement with Enbridge to build the multi-use utility tunnel beneath the Straits and approved the transfer of a property right that will allow Enbridge to construct the tunnel in bedrock beneath the Straits. The fixed schedule for pre-construction work, definitive timelines, and financial penalties for missed deadlines established by the agreement, will make certain that the tunnel project moves forward expeditiously, while the independent oversight will ensure it is done correctly. The approval of the agreement ensures the safe and continued operation of the existing pipeline while design and construction of the utility corridor is underway. “Today’s actions will result in the removal of the oil pipeline from the bottom of the Straits of Mackinac, maintain critical infrastructure connections between our peninsulas, provide energy security for residents of the Upper Peninsula and northern Michigan and create good-paying jobs," Governor Snyder said. LANSING, Mich., Oct. 3, 2018 – “Today, we want to thank the Snyder Administration, state agencies and Enbridge for reaching an agreement that demonstrates we can protect the environment while protecting Michigan jobs. Pipelines are proven as the safest, most reliable way to transport oil and other fuels. This agreement provides a clear path forward to further protect the Great Lakes, while protecting families and the real jobs that depend on Line 5 for moving energy to where it’s needed. The Michigan Oil and Gas Association (MOGA) represents the exploration, drilling, production, transportation, processing and storage of crude oil and natural gas in the State of Michigan. MOGA has over 650 members including independent oil companies, the exploration arm of various utility companies, diverse service companies and individuals. Organized in 1934, MOGA monitors the pulse of the Michigan oil and gas industry as well as its political, regulatory and legislative interest in the state and the nation’s capital. MOGA is the collective voice of the petroleum industry in Michigan, speaking to the problems and issues facing the various companies involved in the state’s crude oil and natural gas business. Michigan’s August Primary Determines November Ballot. Schuette and Whitmer Secure Place on Ballot. The results are in for Michigan's Primary Elections. More than 2 million votes were cast yesterday, ensuring this primary broke the state record for voter turnout in an August Primary. Republican Bill Schuette and Democrat Gretchen Whitmer won their respective primaries and will face off for Governor during the general election on Tuesday, November 6, 2018. In the U.S. Senate Race, candidate John James defeated Sandy Pensler, 54.7% to 45.3% in the Republican Primary. John James will square off against Democratic incumbent Debbie Stabenow in November. In the State Senate some interesting highlights include Representative Curt Vanderwall of Ludington winning a hotly contested 3-way Republican Primary for Michigan’s 35th State Senate District. Former State Representative Aric Nesbitt of Lawton, the former House Energy Committee Chair, won the Republican Primary for Michigan’s 26th State Senate District and former State Representative Rick Outman of Six Lakes won the Republican Primary for Michigan’s 33rd State Senate District. All three of these candidates are in important oil patch areas and have been strong supporters of our industry. On the State House side incumbent Republican Michele Hoitenga of Manton won her primary for Michigan’s 102nd State House District. Hoitenga is a MOGA friend and member, with her family business being in the oil and gas industry. Candidates we will be getting to know include Jack O’Malley of Lake Ann, the Republican candidate in the November election for Michigan’s 101st State House District that Rep. Curt Vanderwall currently represents and Matt Hall of Marshall, the Republican candidate in the November election for Michigan’s 63rd State House District who defeated incumbent Rep. David Maturen. John Cherry Jr. of Flint, son of former Lt. Governor John Cherry, will be the Democratic candidate in the November election for Michigan’s 49th State House District. MOGA is monitoring races and supporters on both sides of the aisle. One of the key factors in determining success this November will be voter turnout. It is essential we get to know the candidates and help them recognize the importance of Michigan’s oil and gas industry in their community. Candidates will be holding events throughout their districts leading up to the November elections. Stay tuned for more information on candidate events in your community from MOGA and please do not hesitate to reach out if you’d like help connecting with candidates on the issues that matter to you. Michigan’s Oil and Gas Industry’s Economic Contribution Study is a great piece to share with candidates on both sides of the aisle. 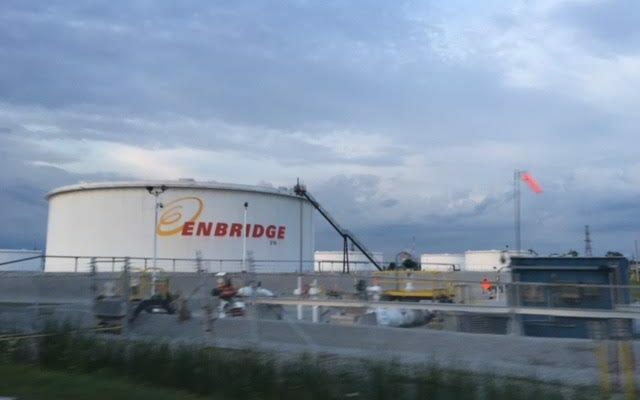 On June 29, Enbridge delivered its final 3 reports to the State of Michigan in accordance with its November 2017 agreement. These assessments evaluate technologies and actions aimed at safeguarding the environment and energy infrastructure. They will be used to help inform discussions on the future of Line 5 and energy infrastructure in Michigan. Prioritization and potential safety enhancements on Line 5 water crossings outside the Straits of Mackinac. We often think about the great trails and parks the Michigan Natural Resources Trust Fund and the State Parks Endowment Fund have helped to create and maintain, but what about the connection between Michigan's local oil and gas production and our state's abundant wildlife? In an opinion column published yesterday in The Detroit News, Leon Drolet, Macomb County Commissioner and Chair of the Michigan Taxpayers Alliance details how oil and natural gas have helped fuel wildlife recovery across the Great Lakes Region. "Environmental awareness, conservation practices, and regulation have substantially improved our environment. But the role of oil and gas is rarely understood or appreciated. It is a sad irony that anti-fracking and anti-oil pipeline activists are working to ban the very industries that made the resurgence of our forests and improved air quality possible". The Michigan Natural Resources Trust Fund, supported by oil and gas lease royalties, continues to make a major impact on Michigan's great outdoors. 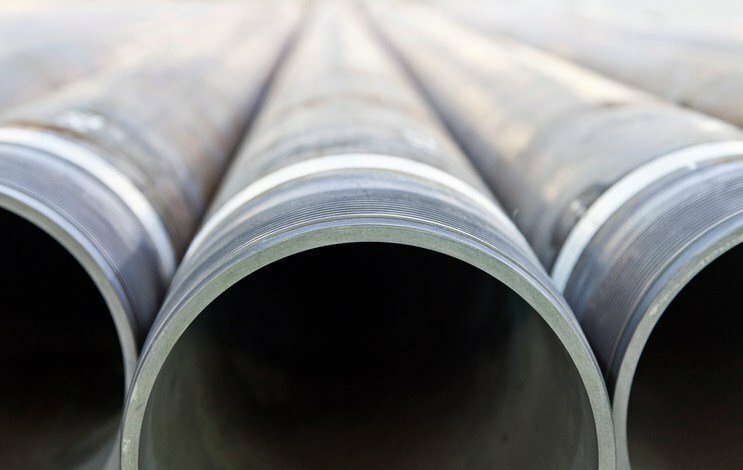 The NEXUS Gas Transmission pipeline has been granted approval by the Federal Energy Regulatory Commission.